Great corner location! Lot and house next door 2566 N Rocheblave, ml#2187768 are included in the list price. House has lovely Wood accents, Quartz island. 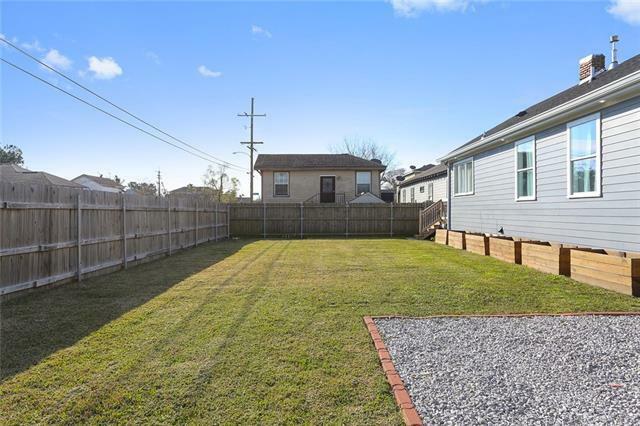 Vaulted ceilings and recessed lighting define the character of this home conveniently located in the St Roch area. Renovated to the studs, everything is less than 3 years old. Expansive Front Porch, Wood Deck in the back, Barn doors, Wood flooring, White Shaker Kitchen Cabinets. All appliances remain, including washer/dryer. X Flood Zone.